In recent years I've been lucky enough to go on several domestic and international vacations. I've found out that I love traveling, but a negative aspect of traveling are the long flights. It becomes worse if you're sitting next to someone who is constantly nudging you or even a crying baby. 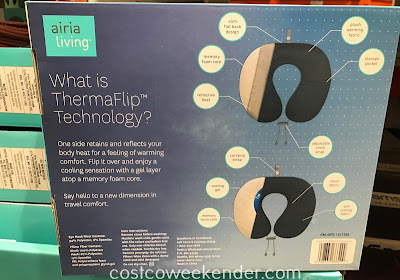 To minimize the effects of a miserable flight, you should check out the Airia Living ThermaFlip 2 Piece Travel Pillow Set. 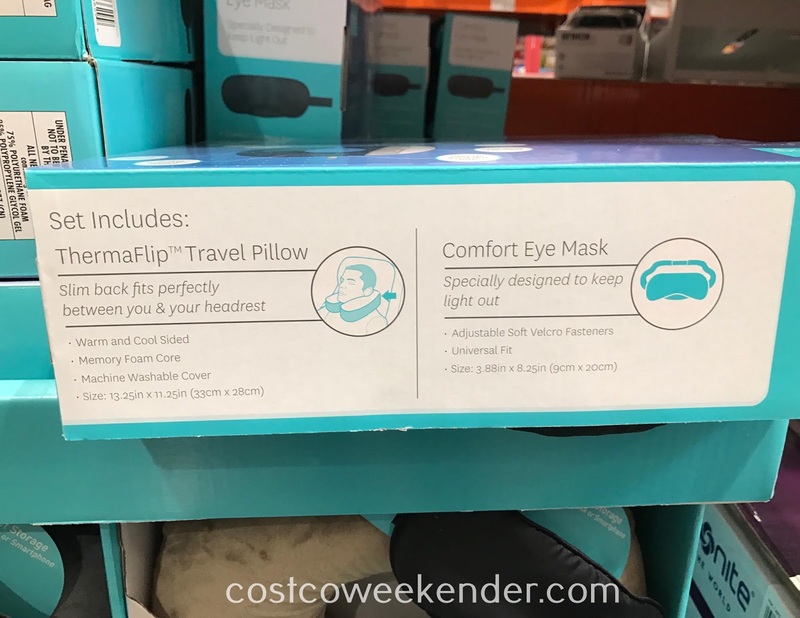 It comes with a neck pillow and an eye mask which are both designed to help you fall asleep easier. It'll make your long flight seem shorter as time quickly passes when you aren't awake. 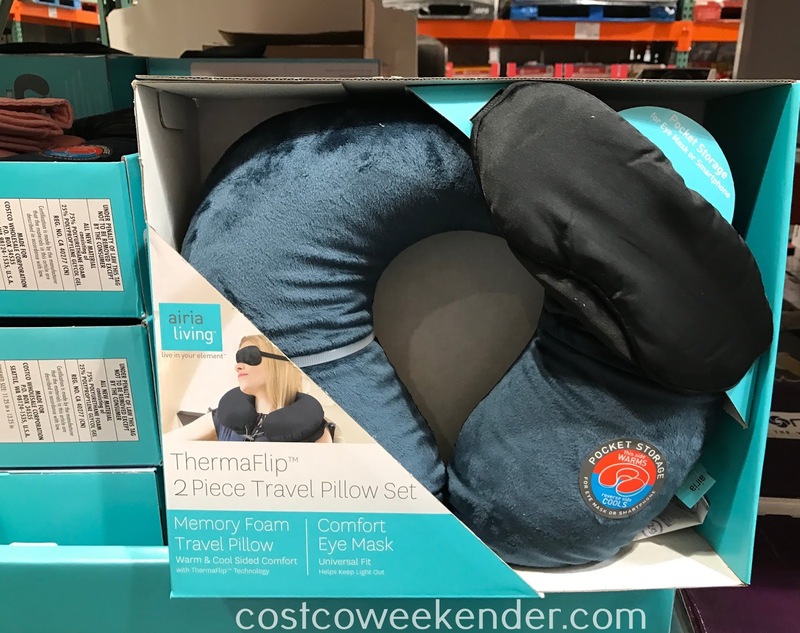 The neck pillow will support your head, so that you're not sleeping on a stranger's shoulder while the eye mask will block out light. 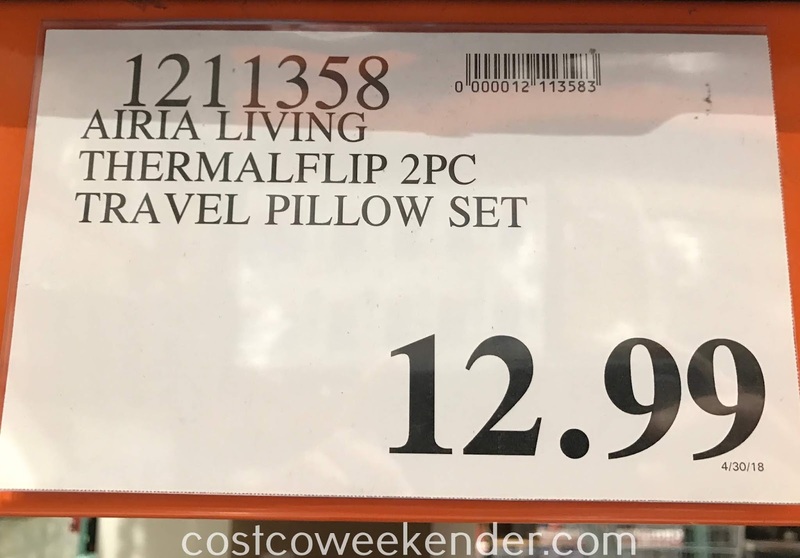 Whether you're traveling for work or for a vacation, the Airia Living ThermaFlip 2 Piece Travel Pillow Set is essential to have for your trip. 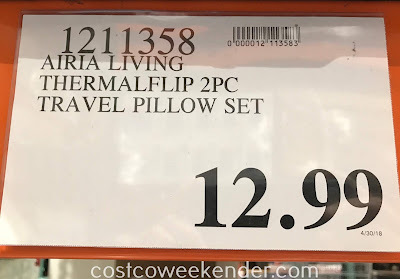 One side retains and reflects your body heat for a feeling of warming comfort. Flip it over and enjoy a cooling sensation with a gel layer atop a memory foam core. Say hello to a new dimension in travel comfort.